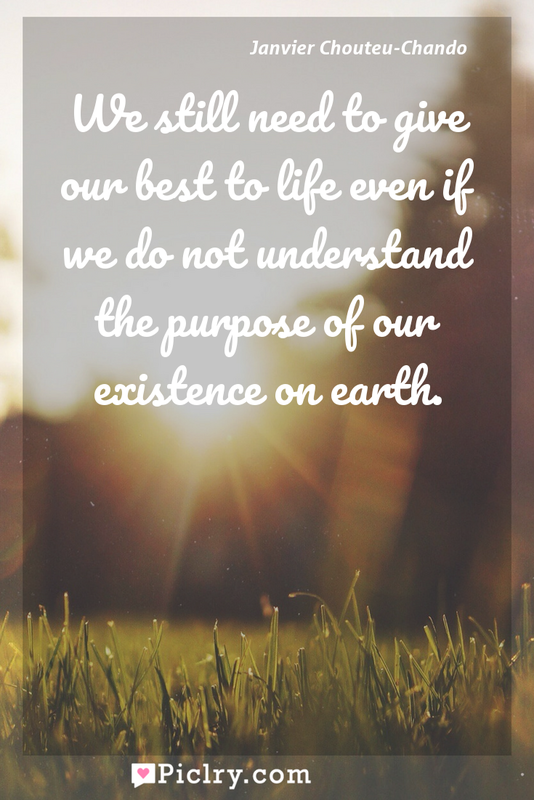 Meaning of We still need to give our best to life even if we do not understand the purpose of our existence on earth. Meaning of We still need to give our best to life even if we do not understand the purpose of our existence on earth. Quote by Janvier Chouteu-Chando. There is no foolish person than a person who refused to be helped because of their pride. Especially when other people are insisting in helping them.